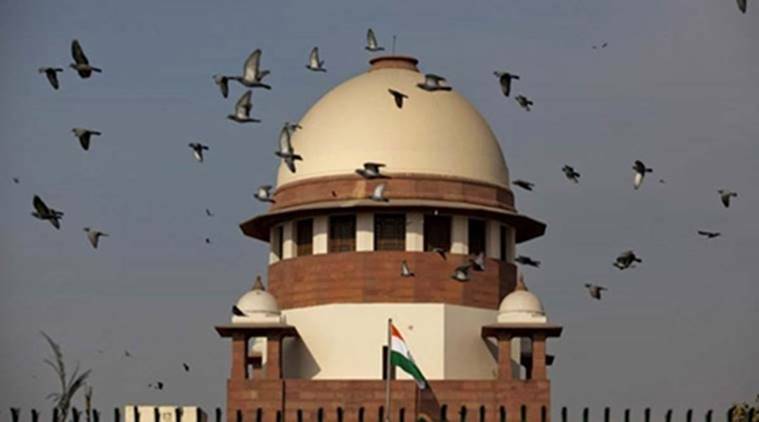 Supreme Court on Friday stayed the operation of the Patna High Court judgement quashing the Bihar government’s law banning sale and consumption of all types of liquor in the state. A bench, comprising justices Dipak Misra and U U Lalit, issued notices to all respondents including some liquor manufacturers on whose plea the high court had held as illegal and unconstitutional the Nitish Kumar government’s prohibition law and posted the matter for hearing after eight weeks. Bihar government has challenged the high court verdict of September 30 which had quashed the notification banning consumption and sale of liquor in the state. However, after the law was set aside, the Nitish Kumar government came out with a new law banning the sale and consumption of liquor which was notified on the Gandhi Jayanti day on October 2. The state government in its petition had urged the apex court to stay the high court order quashing the April 5 notification to ban liquor. It notified the Bihar Prohibition and Excise Act, 2016 to ensure that the ban on sale and consumption of alcohol including Indian Made Foreign Liquor (IMFL) as well spiced and domestic liquor continued in the state. While assailing September 30 high court verdict, Bihar government urged the court to decide whether State can impose absolute prohibition on distribution and consumption of liquor and whether an individual can claim right to consume liquor as his or her fundamental right under the Constitution. It claimed that as a consequence of the high court order, the state government’s efforts to bring in complete prohibition on liquor, in performance of its constitutional obligations, has been frustrated. The high court had on September 30 quashed the notification banning consumption and sale of alcohol in the state, saying it was ultra vires to the Constitution. The order was passed on a batch of petitions filed by the Liquor Trade Association and others, challenging the liquor law, brought in with stringent penal provisions. Soon thereafter, Bihar government brought in the new law banning liquor including harsher provisions like arrest of all adults in a house where contraband was found. The Grand Secular Alliance government in Bihar had first banned manufacture, trade, sale and consumption of country- made liquor since April 1, but later imposed a blanket ban on all types of liquor, including foreign liquor, in the state.